Category Archives for "Fitness Trackers"
There is a good chance if you are looking at this post, you might have clicked on a link in my previous post “Ways to lower high blood pressure-Brisk walking with a Gizmo,” or you have come here to gather more information on what the Garmin Vivosmart HR is all about. Maybe you are looking for a basic fitness band with an optical sensor which can track your heart rate, calories, and your activities. 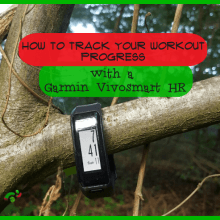 Either way, you’ve come to the right page to get an in-depth user-informed review of the Garmin Vivosmart HR. I have been wearing the device for the last five weeks, and so I have a pretty good understanding of how it works.